Cathy Crunelle obtained a PhD in applied physics at Faculté Polytechnique de Mons (Belgium) in 2009, after 3 years R&D experience at IMEC, in micro-electronics. Since then, she works for Laborelec, ENGIE, where she gained experience in energy efficiency, building techniques and flexibility in the residential segment, notably on heat pumps, domestic hot water production means and stationary batteries, in single or multi homes configurations. 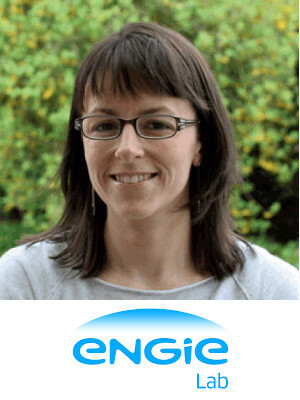 Since 2017, she is leading the Future Home Thematic lab activity within the ENGIE group, aiming at accompanying the evolution of the energy landscape in low voltage grids by evaluating the impact of evolving and emerging technologies, regulations and user behaviours.